You may know the YYYs from the beautiful things you've been reading about them in the press or perhaps you saw their soul crushing hit video for the devastatingly gorgeous tune "Maps" on MTV. 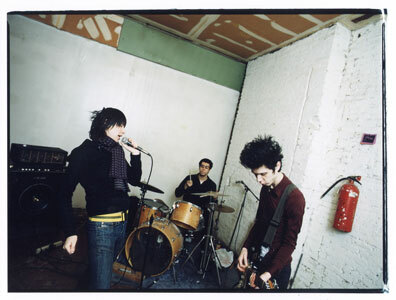 Regardless, this three-piece band from NYC features Karen O on vocals, Brian Chase on skins and Nick Zinner on shred. They've been knocking our proverbial socks off with their infectious, pummelling rock and roll style since the Y2K and as far as we can see, there are no signs of them letting us down anytime soon.